A smart design for smart users. 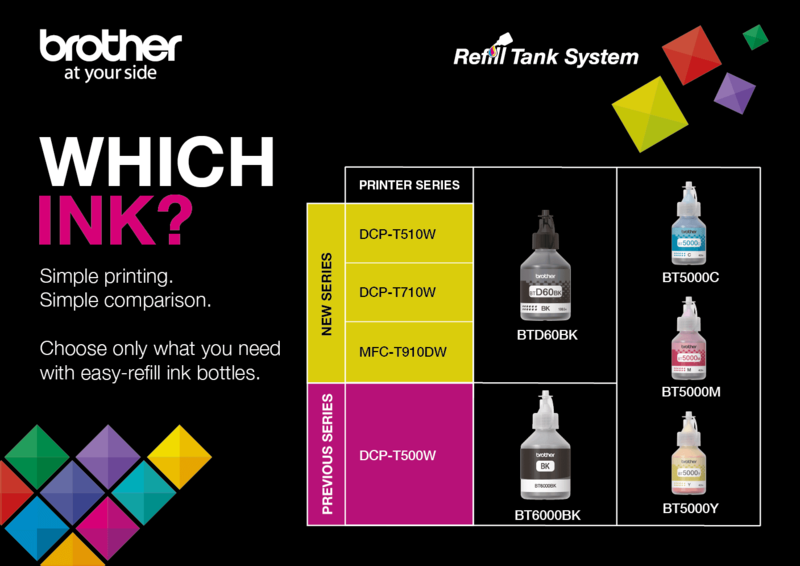 Brother’s ink tank all-in-ones are perfect for home or SME's requiring higher print volumes. Superior quality and efficiency. Every time. With a document print speed of up to 12/10 ipm^, Brother machines speed up your workflow so you can do more in less time. 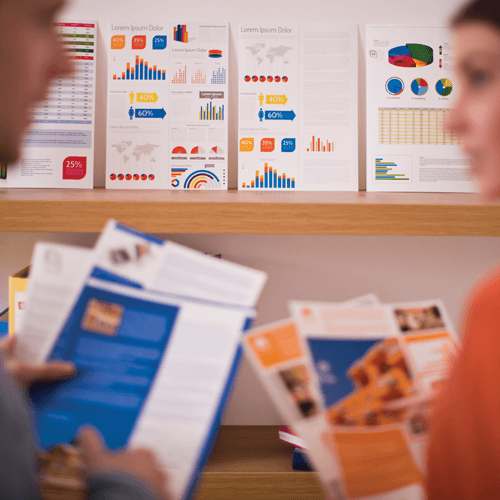 From printing professional reports to outstanding brochures, you can confidently create powerful business materials that will make the right impression. 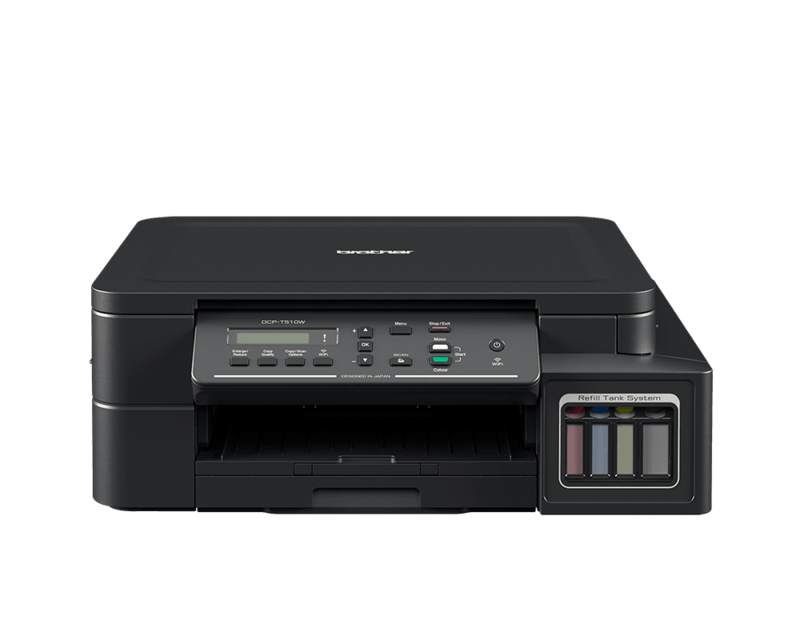 The MFC-T910DW features a 4.5cm user-friendly LCD screen and keypad, you can browse menu options at a glance and easily navigate print settings. Print files or scan to a USB device without the need to connect to a PC. 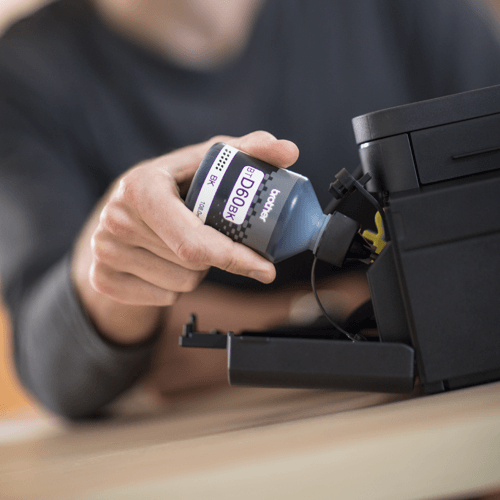 Lower your cost per print with Brother’s ultra high-yield ink bottles. Print up to 6,500 pages* in black and 5,000 pages* in colour! You’ll also save running costs with two-sided printing on the MFC-T910DW cutting paper usage by up to 50%. Brother’s Ink Tank Printers feature a transparent cover that allows for easy front access to the embedded ink tank. The user-friendly design is engineered to minimise the risk of mess and leakage. 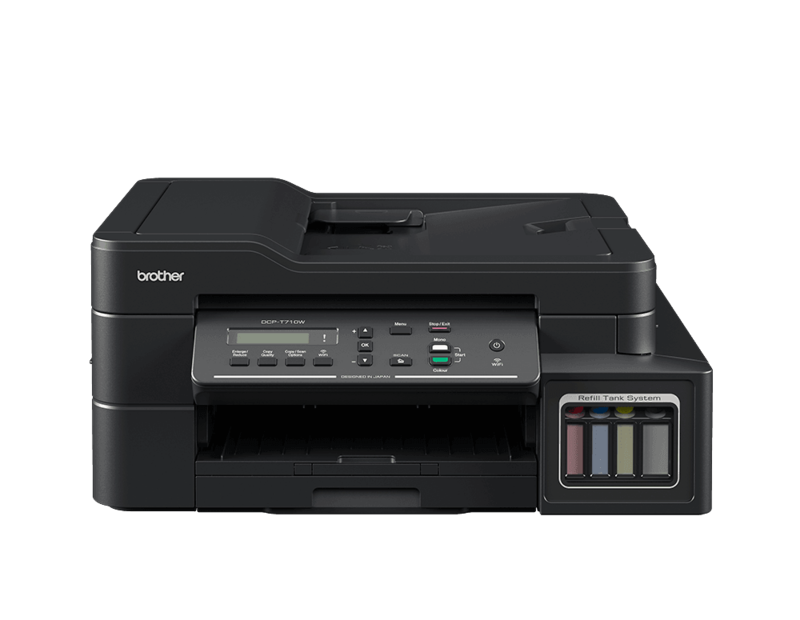 Our All-in-Ones offer unique colour enhancement designed to optimise your colour prints with true to life colours. Dye inks will provide you with sharp text printing on standard paper as well as excellent photo print quality. Handle a variety of print jobs with a 150 sheet paper tray adjustable for different paper sizes and a 20 sheet^ Auto Document Feeder that allows for convenient copying, scanning and faxing. What’s more, the multi-purpose tray on the MFC-T910DW holds up to 80 sheets and provides support for various paper weights, so you can breeze through print jobs. 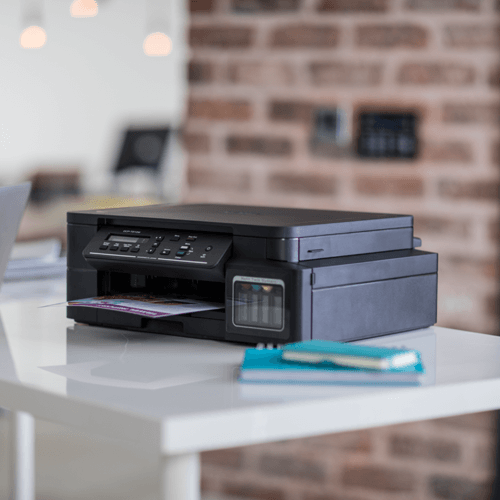 With flexible connectivity options, our printers are designed to suit all work environments. Built-in Wi-Fi on all models and Ethernet (MFC-T910DW only) allow your entire workgroup to effortlessly share one device. Plus, they’ll enjoy the convenience of printing wirelessly from desktop PCs, laptops, mobile or tablets.